What a treat this place is! It has become a firm favourite now. I decided to inquire about a high tea for mum's 70th. At $35 per head it was very good value as it included bottomless espresso coffee as well as hot chocolate, chai latte and leaf tea. 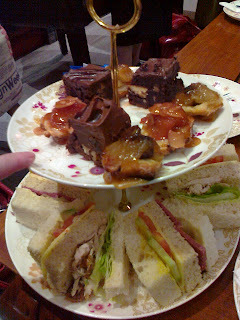 The food comprised sandwiches for the savoury element, a birthday cake topped with rose cupcakes, mini tarte tatins in apple & sultana as well as quince & slivered almonds. There were also chocolate fudge brownies. 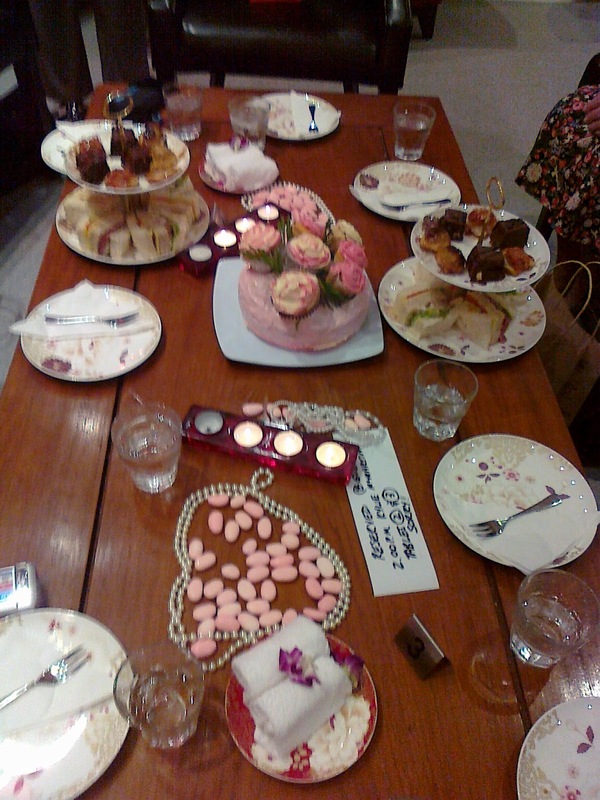 The table was decorated with strings of pearls, tealights and pink bonbonieri. As usual upon arrival, each guest was given water and a cool damp towel to refresh themselves. As a friend reminded me, you need to choose somewhere special for such an occasion. When I called to confirm, Moya told me that she had made the quince tarte tatins especially for mum's birthday tea. 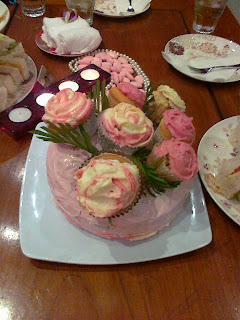 The birthday cake was not ordered, it came with the tea and the staff, after finding out my mum's name first, sang happy birthday to her. The staff were attentive but not intrusive and a good time was had by all. 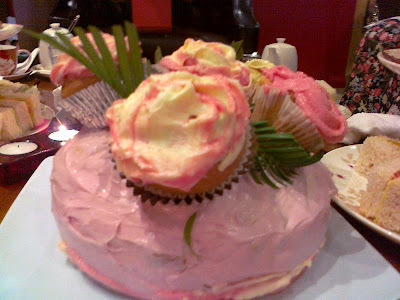 My only feedback would be - stronger leaf tea and a little more variety in the savoury elements of the food. Hi, thanks for the link to your post... 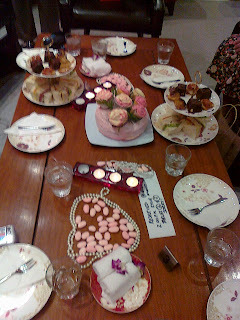 I've had one high tea in my life, and that was for Melanie Tucker's 40th. Lotsa fun!